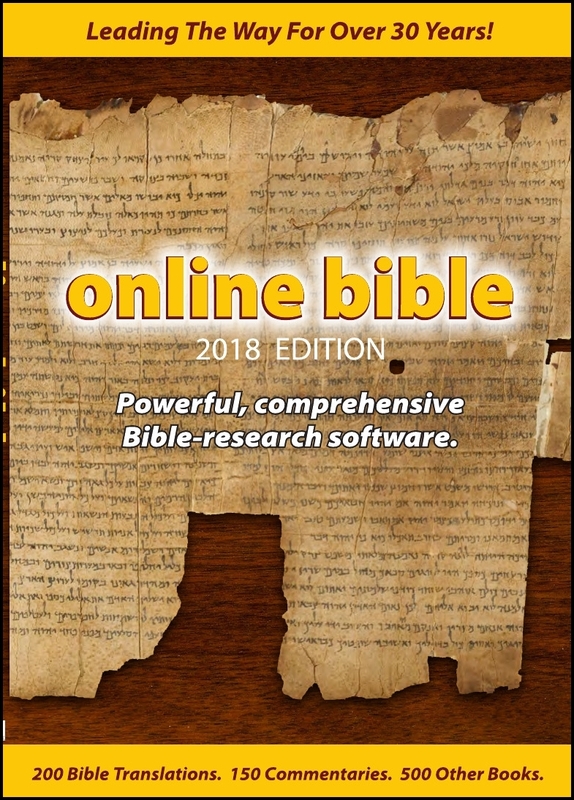 The Online Bible DVD-ROM package has both the English material and all the material in other languages. It contains more than 30 English Bible versions including the New King James Version, The Message and The English Standard Version. Alexander Scourby's Narration of the King James Version is now included at no charge. The audio files will not run on Macintosh or Linux. This DVD also contains 10 ancient languages texts (Greek, Hebrew, Latin and Syriac), 3 sets of Greek and Hebrew Lexicons, 20 Dictionaries, 45 commentaries and more than 300 Devotional, Theological, Historical and Creationist books as well as a set of Bible maps. In addition it contains more than 400 Bible versions, Commentaries, Lexicons and Books in 35 other languages. This DVD will run under an interface called WINE on your Macintosh (included on the DVD) or Linux computer. IF YOU ORDER ONLY ITEMS THAT INCLUDE FREE SHIPPING (UNLOCK CODES - MISSIONARY DISCS) BE SURE TO CHOOSE THE FREE SHIPPING OPTION.